Click here to Ooedit text. The most common event we get asked about are Orbs which have been taken as a single photograph or by a movie camera. I can say with absolute certainty that 99% of orbs are nothing more than dust, this leaves a small 1% that do fit in the 'Paranormal' and even the 'Supernatural' label. We have covered this subject elsewhere on this web site but given this is an emotive subject, I thought we should go into a lot more detail and give some guidance on this phenomena. Great care should be taken before moving an orb photograph or movie into the paranormal, your going to need a lot more data than one digital photograph before anyone will be convinced. Orbs are quickly discounted as paranormal by most Paranormal Investigation Groups and for very good reasons. Orbs are the highly debated phenomena in paranormal circles. Some people believe they are visible evidence of spirits. However, many researchers doubt whether orbs are ghosts or spirits at all. No one knows whether spirits are able to consciously harness this energy or not, but orbs are often witnessed at locations where some form of paranormal activity has reportedly taken place, but the problem with that idea is that when attend a ghost hunt at a 'suggested' haunted location every person there will be carrying a camera, so the chances of capturing orbs at this sort of location are ten fold. Orbs caused by flash in compact cameras. The reason for this is that the flash illuminates dust particles that are drifting very close to it. These reflect light back into the camera lens, but they are too close to be in focus. ... It is the circle-of-confusion image on the film or digital photo that appears as an orb. This also applies to movies taken and is not just a product of a photograph. The chart above will give you some idea of what is regarded as nothing more than dust orbs. Any seasoned Paranormal Investigators can quickly distinguish between a dust orb and something that maybe possible paranormal. 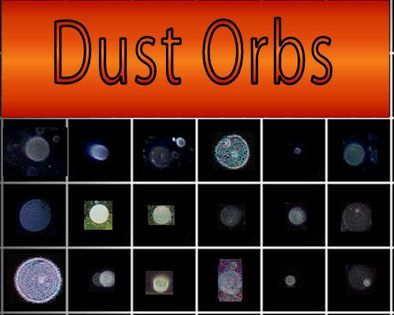 The shape and make up of dust orbs are a constant, what does differ are the Size = How close the dust is to the camera and Brightness = The closer the dust is to the camera the brighter it will be. Manifestation of ghost or spirit v Dust Orb. Over the years Paranormal Investigators have evidenced 'light anomalies' during investigations. The distrust of Orbs is such that many investigators only use the word Orb when classing it as nothing more than dust. Anything that the Investigator feels could be a possible paranormal event, they often use the term 'light anomalies' to distinguish the two. The question is how can you tell?. In my own experience, the common dust orb floats at a constant speed and height which is dependent on the flow of the air and anything that can interrupt that movement, such as an open doorway or window. The shape is a constant although size and brightness differ. Static will move dust orbs and making them take strange directions. Out of focus photos will make the orb look like a comet, ie; streaking. 1. Dust Orbs will be seen using a normal cameras or the Infra Red spectrum only, but a Full Spectrum camera will NOT show up dust orbs due to how they work with the colour spectrum. 2. You can not see dust orbs with the naked eye. I have witnessed 'light anomalies' travel into and from electronic equipment as well as into and out of a human. The constant with all these light anomalies is where the light suddenly manifests before traveling at different rates of speed before often just disappearing completely, and in most cases the shape differs and mostly not totally circular as in dust orbs. I mentioned, that these events could be used with other evidence gathered at the same time, for example; You are conducting an EVP session and on reviewing you notice a light travel into the recording device and moments later a positive EVP is recorded. This sort of event is common and my advice for Investigators when conducting an EVP session is to always film the event, you may just capture this very event happening which in turn authenticates the other. The ghost or spirit manifestation should not be confused or even mentioned in the same way as an orb. A manifestation is just that, a manifestation. They look different, they act differently, the shapes and size differ greatly and in most cases they will trigger other devices such as EMF meters or REM Pods. An important point, you can see them with the naked eye if the room is dark enough. Due to the size people often class them as a 'a mist object'. If the mist has a shape such as a body, then this is when the witness will describe the image as a ghost or spirit, but more likley a spirit. I personally class ghosts as 'residual energy' - an event being replayed back and the entity not being aware of the surroundings. I look at spirits as 'real time'. An intelligent entity in full knowledge of the surroundings and fully able to interact with a human form. Why does it emit light?. 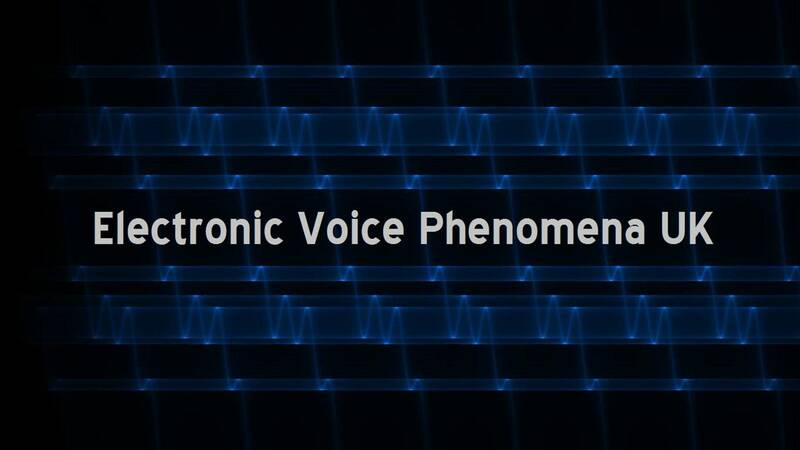 There is some credence in the belief that a spirit needs energy to do certain things, communicate via a Recorder or Spirit Radio, as well as make sounds (disembodied voices for example). If this energy is needed for such things, there is considerable evidence that suggests exactly that, you would therefore expect the object that stores this energy to emit some form of light, not white light as white light is pure, but in many ways contaminated light, therefore you see a light anomaly. As this page is dedicated to the light orb we shall move on to the many ways the orb is looked at, this is just a general view and I don't share all the same views as the following. Colors and What They Mean. There are many theories about what different orb colors mean, with many colors potentially meaning a variety of things. Interpretation of the colors varies according to different beliefs. However, in most cases, people interpreting orb colors and assigning a meaning do so based on spiritual beliefs about the meaning of various colors. It is important to note these are spiritual theories only and have no basis in scientific fact. One theory of orbs with different colors is that spirits are manifesting in the best way they can. In these cases, the colors may have no meaning at all, or a spirit could be trying to communicate something with the color. Use your own feelings as a barometer to see what you believe the orb and its color means to you. If you're still looking for guidance, some common interpretations follow. Clear orbs may be a sign an entity is trying to communicate with you. The spirit may be trying to let the living know that some kind of significant event happened in that location, and that the spirit wants help to move on. Spiritually, white or silver is associated with spirituality and connection with a higher source. Some investigators believe orbs that are either white or silver in appearance are an indication that a spirit is trapped on this plane. It may also be a sign the spirit is there to offer protection to the people in the area. White energy is typically perceived as highly positive in nature. Spiritually, many feel black or brown colors are associated with lower spiritual vibrations or heavy energy. Some people interpret this as evil, although it isn't necessarily the case. When black or brown orbs appear, some investigators interpret them as a sign the area may be unsafe or negative in nature. Examine such a place with caution, and if you feel uncomfortable or unsafe, leave. From a spiritual perspective, red and orange colors are associated with safety and security, as well as a sense of belonging. While these warm colors are often associated with strong emotions, such as anger and passion, this may not be the case when it comes to ghost orbs. Some paranormal investigators believe a red or orange orb is a sign that an entity has assumed the role of a protector. This could be someone who was charged in life to keep watch or be a caretaker. In spiritual practice, green is associated with the heart. It is also associated with nature. Green orbs are sometimes thought to be an indication of the presence of a human spirit, as opposed to one that was never on Earth in human form. Likewise, green orbs may represent love or oneness with nature. Blue is spiritually associated with psychic energy and truth. It is a very calming color, and many people associate it with spiritual guidance. Some people feel blue orbs are a sign of a calming presence or energy while others feel they indicate the presence of a spirit guide in that location. Orbs are very common in paranormal photography and video. In digital photography, orbs are a known artifact of the process. The Association for the Scientific Study of Anomalous Phenomena (ASSAP) explains this in their case study on Orb Zone Theory. In the case of digital and film photography where colored orbs appear, this is often associated with the subtle coloring of the camera's lens. Other items can cause orbs to appear including reflective surfaces, dust, rain, water spots, and bugs. 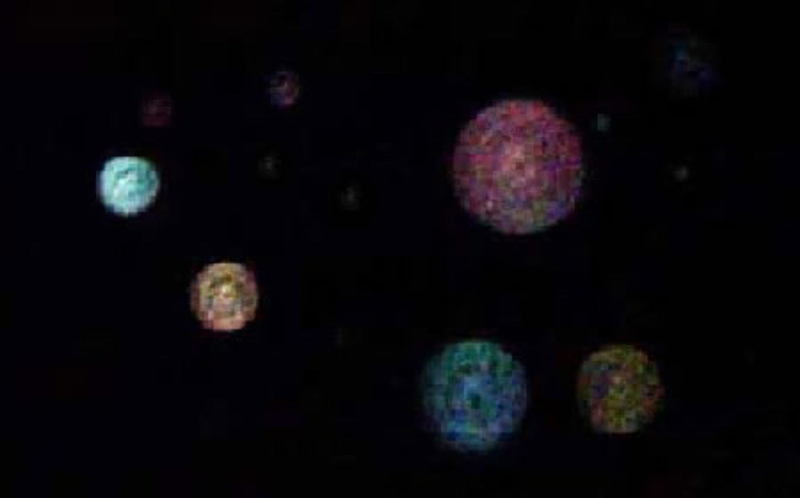 In video, infrared lights can reflect off of these same objects and give them a lighted orb-like appearance. 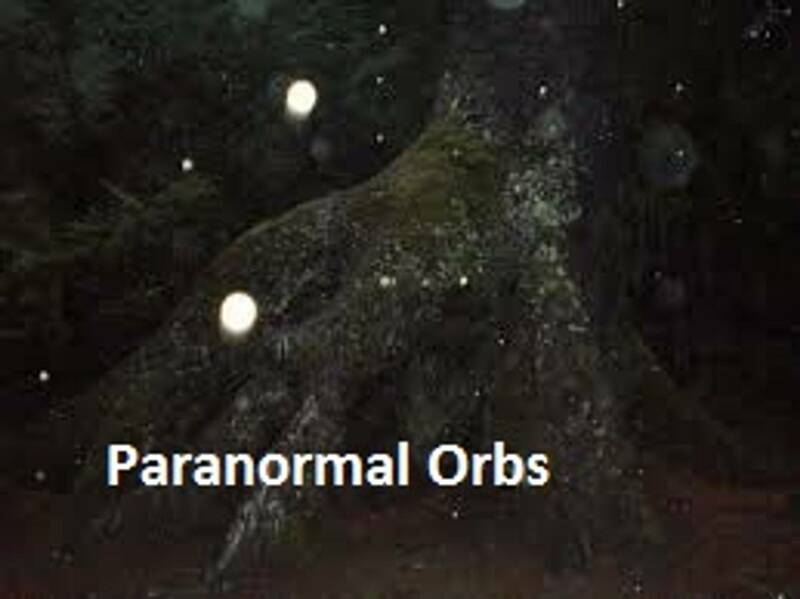 For these reasons, many paranormal investigators do not consider orbs as paranormal evidence because there are too many natural world explanations for them. However, it is a possibility that some orbs could be paranormal in nature. This may be particularly true of orbs seen with the naked eye, especially those that appear to have their own light source and unusual patterns of travel. Use Ghost Orb Information Carefully! While the jury is still out on whether or not ghost orbs are truly caused by paranormal activity or if they are merely dust flecks left on a camera's lens, remember that much of the information about ghost orb colors comes from theory rather than science. While many researchers have compiled data on ghost orbs and their various colors, no one can be exactly certain about their meaning. Remember to keep this in mind as you work with the paranormal.